The Motorola Droid X has every one left in shock and awe, Motorola will dazzle us yet again but unveiling the Droid 2 which is bigger, badder and even better. According to EnGadget their sources have confirmed that the Droid 2 will be available for $200 on a 2 year deal and $600 if you want to use it without the carrier provided (unlocked). 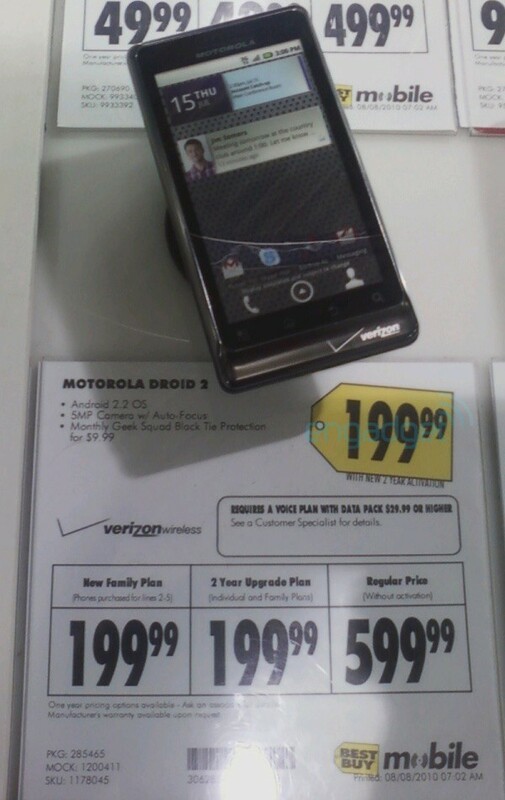 The price tag is pretty reasonable if its given a good carrier with affordable data plan rates, EnGadget also added that the original Droid X has gone out of stock on Verizon’s website so maybe the Droid 2 is coming sooner than we thought?